Wayne Rooney has recently voiced his intention to hang up his England boots and retire from performing at the international scene after the 2018 FIFA World Cup ends but the FA Chairman Greg Clarke believes that there is a chance of Rooney performing beyond what the player has initially stated. ‘’I note that Messi retired and then decided to come back again. If Wayne has a good World Cup and thinks to himself 'I fancy a bit more of that' and Sam Allardyce wants to pick him, why wouldn’t he keep playing? ''FA Chairman Greg Clarke said. On September 4, England faced off with Slovakia in a FIFA World Cup 2018 qualifying match and the English side came out on top with a 1-0 triumph. 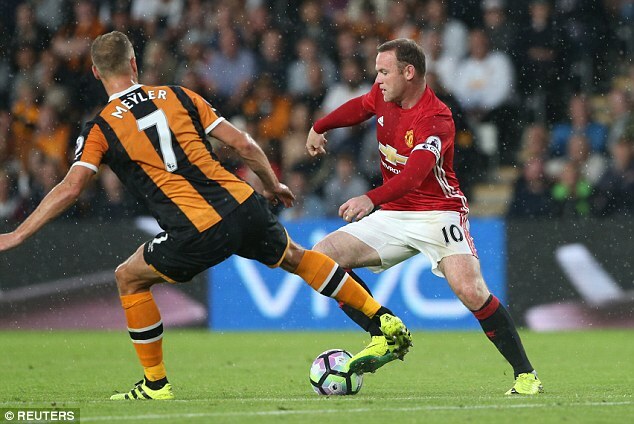 During this match, Wayne Rooney was placed as an attacking midfielder and his performance was a forgettable one as the Englishman struggled to launch shots at target, he mustered a few shots but most of them were not even on target. Most of Rooney’s performances in recent times with the English national football team have been this disappointing as the captain is struggling to find his footing and with these recent positional changes have made things even more difficult for him to make the performances that made his attract the eyes of top clubs from around the world. During England’s match vs Slovakia, Rooney managed to break a record as he became the most capped outfield player for an English national football team but that was probably the only good thing that Rooney could take away from that game as everything else was forgettable. All signs are pointing towards Wayne Rooney hanging up his international boots during the 2018 FIFA World Cup but considering his slump of mediocre performances, his time in England might come to an end even sooner.